At today’s Doctor Who panel at Comic-Con, excited fans were treated to a third first look at the Doctor, played by Jodie Whittaker. Opening with a “what has gone before,” you may find this teaser to be… a tease. 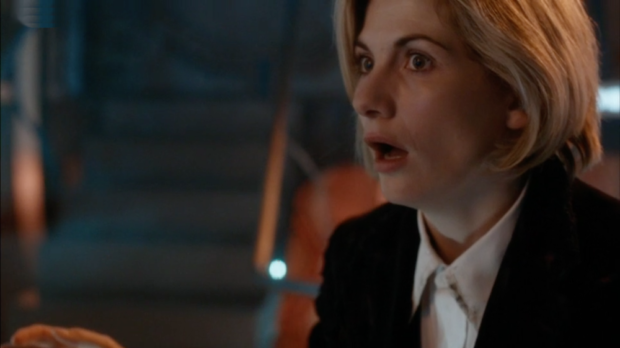 But this time we get to hear the Doctor say more than “brilliant!” Later tonight we’ll write up the panel. Enjoy for now!